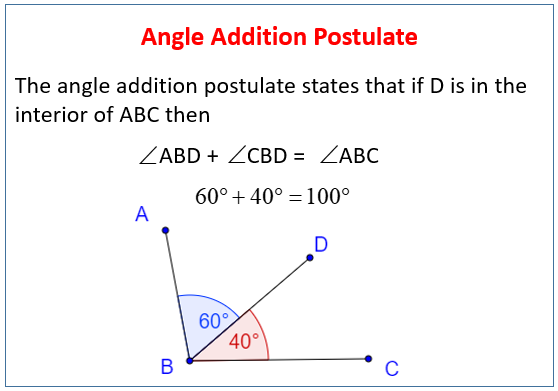 The following diagram gives an example of the Angle Addition Postulate. Scroll down the page for more examples and solutions. 1. How to use the Angle Addition Postulate to find unknown angle measures. 2. How to use angle bisectors to find unknown angle measures.